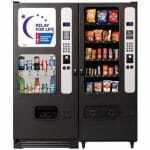 ALEXANDRIA LOUISIANA Vending Machine Companies! Offering FREE Vending Machines: Snack, Soda, Coffee, Deli, Drinks, Food, Frozen, Healthy Vending, Micro Markets, Amusement Games, & Repair services for your employee breakrooms! Please contact these vending machine operators directly for more information about their vending products and services. Coleman’s Vending Services LLC – Full Vending Machines Service Company including: Snacks, Sodas, Drinks, Candy, Toys and more! Company is based in Marrero. We service all of Jefferson County, Louisiana.